Our fragmented system of prescription drug financing is the root cause of our troubles. Not recognizing that our pharmacare system (or lack thereof) is designed to fail is costing us billions of dollars every year while many Canadians go without access to the medicines they need. Another budget cycle has passed without remedy for the biggest unresolved problem in our health care system. From 1980 to 2010, spending on pharmaceuticals used outside of hospitals in Canada grew more than 15-fold, from just under $2-billion to just over $30-billion. Yes, billion. In contrast, spending on health care covered under the Canada Health Act -- hospital care, including drugs used in hospitals, and medical care provided by physicians -- grew just over five-fold during the same period, from $12-billion to $83-billion. 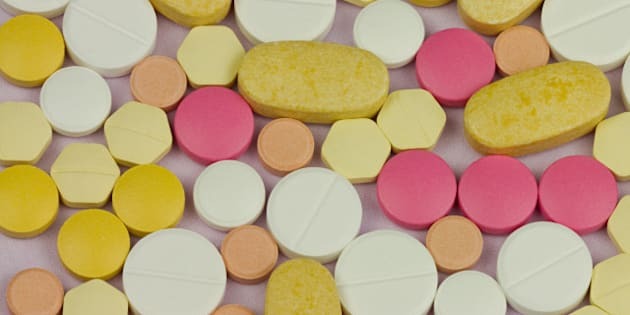 Part of the reason that pharmaceutical spending has grown so rapidly is that waves of new drugs have come to market since the 1950s that allow us to treat an ever expanding range of medical conditions -- and that's mostly a good thing. In many instances, pharmaceuticals are unquestionably the most cost-effective way to treat a patient. But much of the growth in pharmaceutical costs in Canada results from the perverse structure of our health system. Canada is the only country in the world that offers universal health insurance for medical and hospital care but not for prescription drugs. Instead, we have a patchwork of private and public plans that effectively leaves nobody holding the reins of this important component of health care. Our fragmented system of drug coverage means that many Canadians cannot afford the medicines they need. Research published last year in the Canadian Medical Association Journal showed that one in 10 Canadians report that they skip doses or decide not to fill prescriptions because of cost. By international standards, that is a very poor record on access to medicines. Yet, by international standards, spending on pharmaceuticals in Canada is extraordinary. Our drug costs are higher and faster growing than all other countries in the OECD with the exception of the USA -- hardly an admirable comparison. Canada does have regulations that limit list prices of patented medicines to the median of prices found in seven comparator countries: France, Germany, Italy, Sweden, Switzerland, U.K. and the U.S. But such price controls, unfortunately, do not result in expenditure control. In the late 1980s, when our price regulations first came into effect, per capita pharmaceutical spending in Canada was below the median of our seven comparator countries -- we were doing pretty well. But our spending was growing more quickly than in other countries and continued to do so. By 1997, our level of spending had caught up to the median of our comparator countries, placing us squarely in the middle of the pack. Turns out, those were the good old days. In 1997, the National Forum on Health called for a universal pharmacare program in Canada. They recommended this as a means of improving access to care and better controlling costs. We did not move forward on that recommendation. Since then, per capita pharmaceutical spending in Canada has continued to outpace comparator countries, so much so that, as of 2010, we spent $280 more per capita than the median of our comparator countries. To put this in perspective, if we had implemented a pharmacare program in 1997 that controlled our drug spending so that it continued to grow, but only at the same rate as our comparator countries for drug price regulation, we would be spending $9-billion less per year than we are today. That's enough to finance the 42-year life cycle of the F-35 fighter jets in just five years! Our fragmented system of prescription drug financing is the root cause of our troubles. When pharmaceuticals are integral to health care financing and management -- as they are in all universal health care systems comparable to ours -- system managers and, importantly, practitioners have more incentive and opportunity to manage costs. They have better incentives to consider the value for money spent on new drugs versus older ones, and on drug therapy versus other forms of care. And they also have more purchasing power in price negotiations with drug manufacturers. Not recognizing that our pharmacare system (or lack thereof) is designed to fail is costing us billions of dollars every year while many Canadians go without access to the medicines they need. We deserve better. We deserve a medicare system that includes prescription drugs and thereby delivers the access and efficiency found in all other countries with health care systems comparable to ours. Steve Morgan is an expert advisor with EvidenceNetwork.ca and Associate Professor and Associate Director at the UBC Centre for Health Services and Policy Research.